Another fun pattern. And I love the color of the yarn. These are my socks for September, also knit for SKP sock 4. 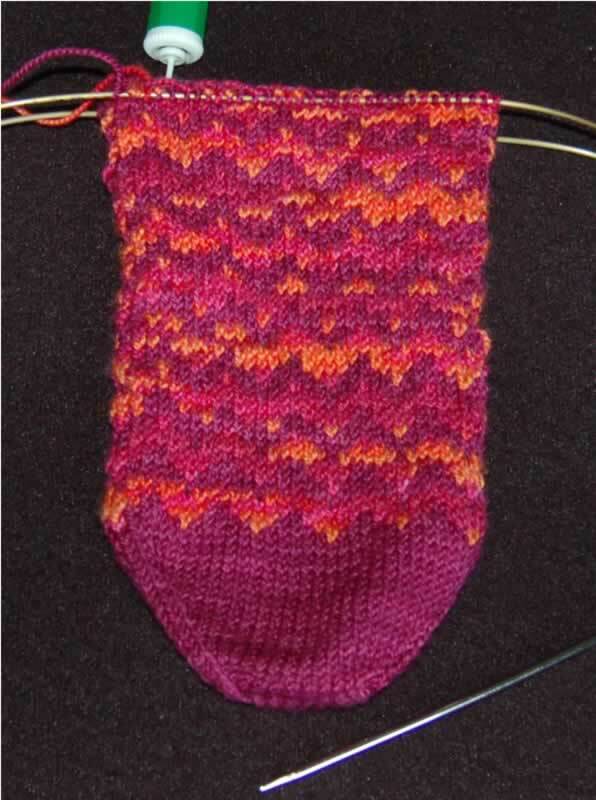 Comments: For me, stranded-knit socks are not easy to get the fit right (see Birdfoot bag). My gauge was right on, but I still found the wrap and turn heel/gusset too tight. So for the second sock I increased the number of stitches I worked the heel over to 39 (from 33). This gave a more comfortable fit. If I were to make these again, with the same yarn and needles, I would add 6 stitches (1 pattern repeat). For my October socks, I will be working with a Harry Potter-inspired theme as part of the Hogwart's Sock Swap 4 (HSS4). 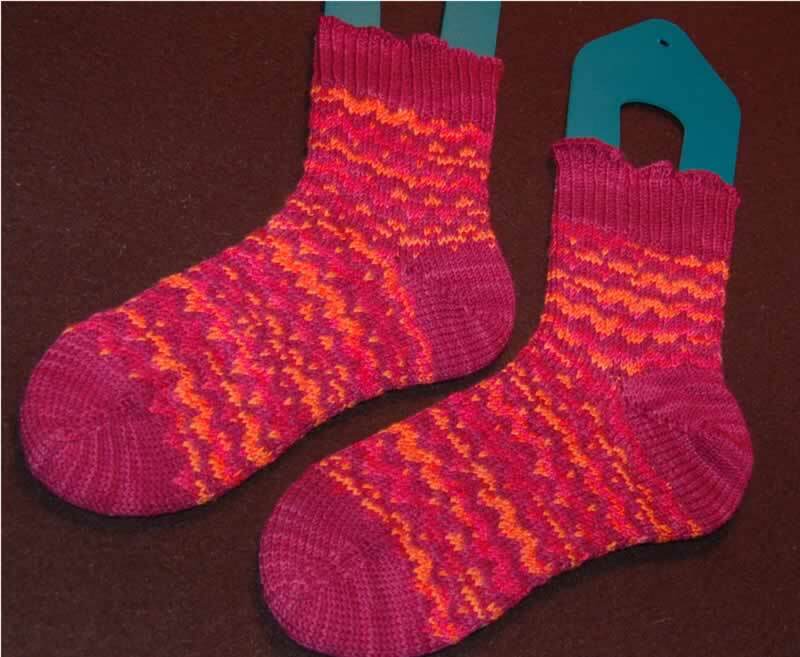 I will be using my own pattern and plan on making something similar to my HSS3 socks, but this time I will be knitting for a 4th year Gryffindor, so the colors will be scarlet and gold. 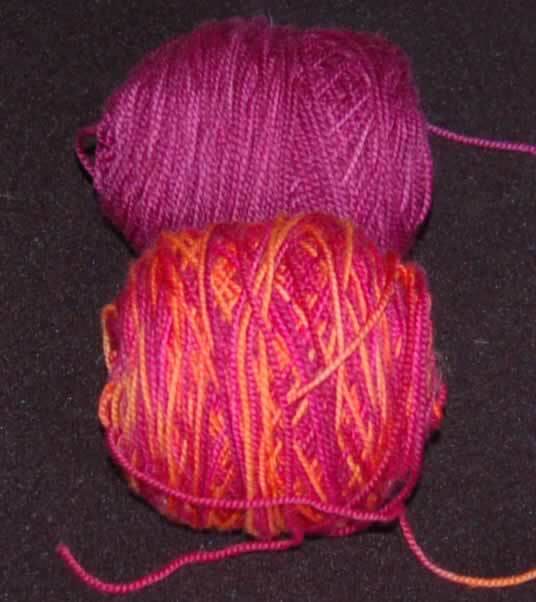 I have a tweed yarn that I will be Kool Aid-Dyeing and I hope the colors come out right (Pineapple for the gold and Black Cherry for the maroon). We'll know after this weekend!